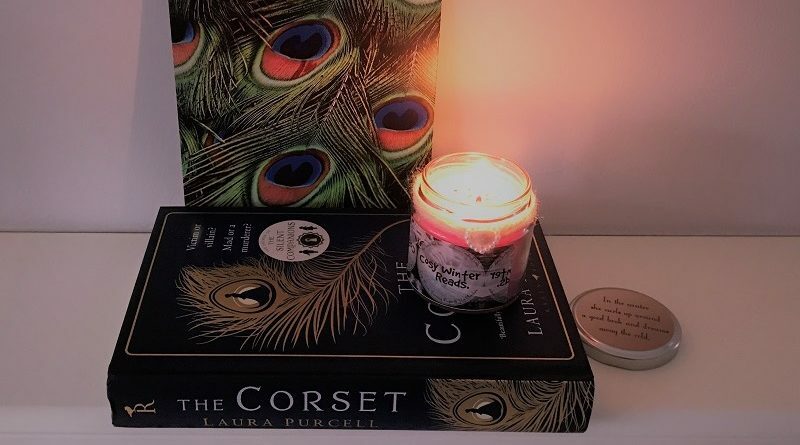 A My Chronicle Book Box review: The Corset by Laura Purcell. This is the second novel by Laura Purcell and is a fantastic gothic mystery told from the point of view of two very different women! This book was included in our November 2018 Crime & Mystery book box. Laura Purcell had a lot to live up to after the huge success of her first novel, Silent Companions which was chosen to be part of The Zoe Ball Book Club on ITV. The Corset, her second novel, was equally impressive, I loved this gothic novel which had me guessing right up to the very last page! The Corset is set in the Victorian period and provides a fascinating and perceptive view of both the wealthy few and impoverished masses. The quality of writing means you cannot help but be completely immersed in the dark atmosphere of London and and combined with the intricate storyline it was both addictive and horrifying. Light a candle and read this book! Dorothea Truelove is young, wealthy and beautiful. Ruth Butterham is young, poor and awaiting trial for murder. When Dorothea’s charitable work leads her to Oakgate Prison, she is delighted to have the chance to explore her fascination with phrenology and test her hypothesis that the shape of a person’s skull can cast a light on their darkest crimes. But when she meets teenage seamstress Ruth, she is faced with another theory: that it is possible to kill with a needle and thread. For Ruth attributes her crimes to a supernatural power inherent in her stitches. The story Ruth has to tell of her deadly creations – of bitterness and betrayal, of death and dresses – will shake Dorothea’s belief in rationality, and the power of redemption.